As the senior director of the application offerings and advisory services for Perspecta, Stu Hammer specializes in driving strategic transformation programs for customers with an emphasis on application transformation to cloud, application modernization and Agile/DevOps Application programs. Hammer brings more than 34 years of IT and consulting experience as a proven leader and member of executive-level management teams. He partners corporate objectives with strategic technology advances and innovative trends. He has been a frequent advisor and speaker on IT transformation trends, specializing in application transformation strategies for customers. Prior to Perspecta, Hammer held a number of leadership roles at DXC Technology and HP Enterprise (HPE) in both public sector and commercial areas, managing service revenues exceeding $500 million. Key roles included: director of U.S. public sector application services and program excellence; director of application services, financial services segment; and director of global applications, business transformation outsourcing. 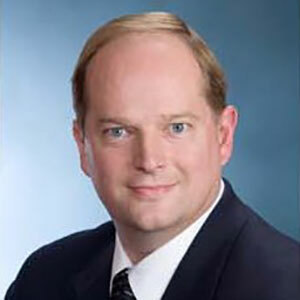 Previous to his experience at HPE, Hammer served as vice president of information technology for Gelco Information Network, providing payment processing and trade promotion management business services for Gelco’s clients. He led the IT organization to modernize the Gelco applications to a new e-business Software as a Service (SaaS) solution capability. He also served as managing director of MCI Systemhouse’s enterprise application integration and technology solutions. Hammer orchestrated the launch of the Enterprise Connect and Enterprise Component service models, providing enterprise integration using iterative development and integration techniques for clients. In addition, Hammer has held senior management and technical positions at US West (now CenturyLink) and Marten Transport, Ltd. In these roles, he led key corporate IT initiatives to bring value to the business through implementation of strategic transportation and telecommunication systems. Hammer graduated from the University of Wisconsin-Eau Claire with a bachelor’s of Business Administration and Information Management. He earned a master’s of Computer Systems Management from Creighton University and was nominated to Beta Gamma Sigma, the honor society for collegiate schools of business.